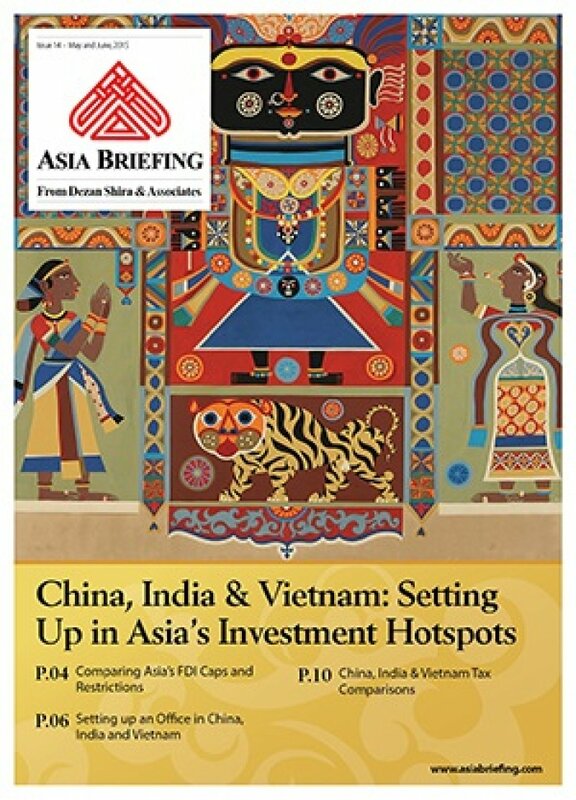 In this issue of Asia Briefing Magazine, we have set out to produce a guide to investing and establishing a business in Asia, focusing on the markets of China, India and Vietnam. We begin by analyzing how investment is treated in specific industries across these three countries. We then take a look at the investment vehicles that a foreign business can select, with an emphasis on representative offices (ROs) and liaison offices (LOs). Finally, we highlight the various forms of taxation that a foreign company should be aware of when entering the Asian market. Since China’s economic reforms in the late 1970s, Asia’s investment landscape has changed. World Trade Organization rules and the advent of a fair global trading system have undoubtedly contributed to this, as have regional trade blocs such as the ten-country Association of Southeast Asian Nations (ASEAN). These developments have enabled Asia’s place within global trade to become more pronounced. Part of this is driven by demographics, as large numbers of relatively low-cost workers come into the labor pool and can assist with manufacturing competitive products, both for the local Asian and overseas markets. Coupled with this is the region’s growing middle class, which creates a consumer dynamic that is attractive for foreign investment. As a result, there are now numerous locations in Asia where a foreign entity can run a successful business. With our experience across Asia, Dezan Shira & Associates is well positioned to help foreign businesses expand their operations to anywhere in the region. We hope that this issue can serve as a good starting point.